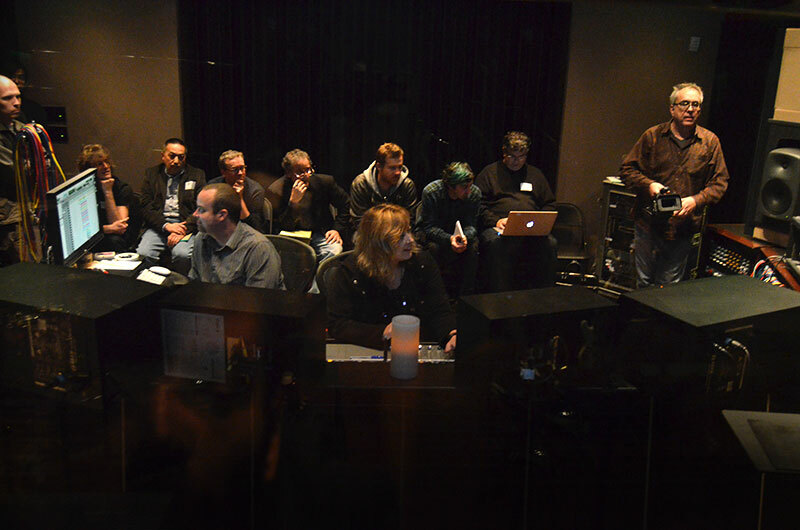 Sylvia Massy started to weave her magic right after Alan Parsons’ 10 A.M. good luck Skype greeting finally pixilated into the ether in front of Attendees, crew and more band members than a chamber orchestra assembled for a day of intensive recording in San Francisco’s swanky Studio Trilogy. Cognizant of the challenge of recording and mixing Liam McCormick and his cast-of-thousands The Family Crest collective in a single day, Massy lost no time in turfing anyone suspected of being a band member out of the control room so she could lay out her plan of attack. Massy is the queen of conspiratorial production techniques (three years working as Prince’s engineer might have something to do with that) and it instantly creates a vibe, is enormous fun, and more importantly gets results. Violin, viola and cello were recorded as a section, Sylvia demonstrating the power and beauty of the MS technique to create a stunning stereo spread. In addition to the MS configuration Sylvia also responded to a suggestion from one of the Attendees to try pair of Royer ribbon mikes in straight stereo. Trombones and flute followed in rapid succession in order to have more time to spend on the lead vocal. In addition to her own Universal Audio vocal chain, Sylvia set up a U47 and, initially, the SSL’s own mic pres. AB-ing against other mic pres was interesting but the SSLs actually won out at the end of the day. 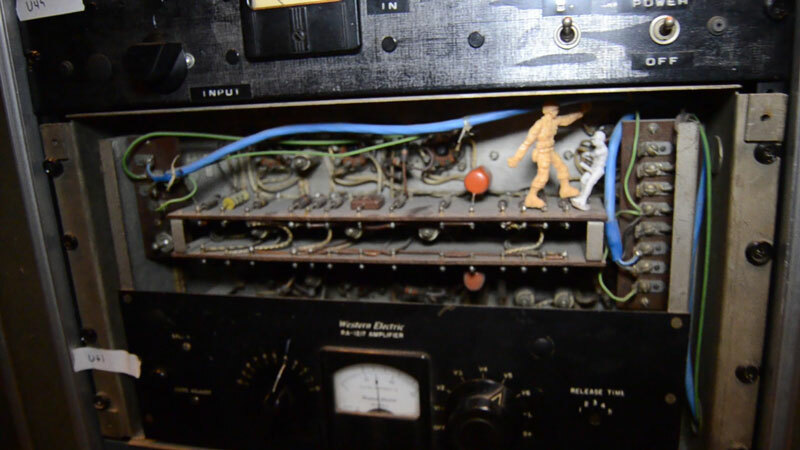 Sylvia Massy is known for some unique studio tools and tricks, one such being ‘Army Man’ a battle-scarred compressor from who knows where or when that Massy often uses to add crunch and grit. Giesige’s snare-less snare needed some enhancement and in addition to some cunning re-amping involving micing up a gated snare track being fed into a cube speaker placed directly on top of a ‘real’ snare drum, Army Guy was also marched into the picture. After a ‘cheat’ EQ across the master bus to create something approaching a mastered version of the mix, the session concluded with a playback in the packed control room to universal amazement that so much could have been recorded so quickly and sound so good.